Read in a fraction of the time. Master any subject faster and easier than ever. Gain exponential benefits with your ‘near-genius’ performance. As Chairman of Nightingale-Conant Corporation – the world leader in personal development – I often gain exclusive access to many exciting advances in bettering human performance. But few have excited me as much as the one described in this email. It’s called “Accelerated Learning.” And it can literally revolutionize the life of anyone who chooses to learn about it. What is this resource? It’s your brain capacity. Your ability to master and use all the knowledge you deal with in today’s Information Age. But isn’t your brain capacity something that’s fixed at birth? After all, you’re either naturally “smart” or “not smart,” right? Wrong! Most people have always thought this way. But now, thanks to recent outgrowths of Nobel Prize–winning research, learning experts have discovered how you can increase your brain capacity, both in speed and effectiveness – and by as much as 400%! ... and now, these techniques have been spelled out in detail for you in Nightingale-Conant’s pioneering program Accelerated Learning Techniques. 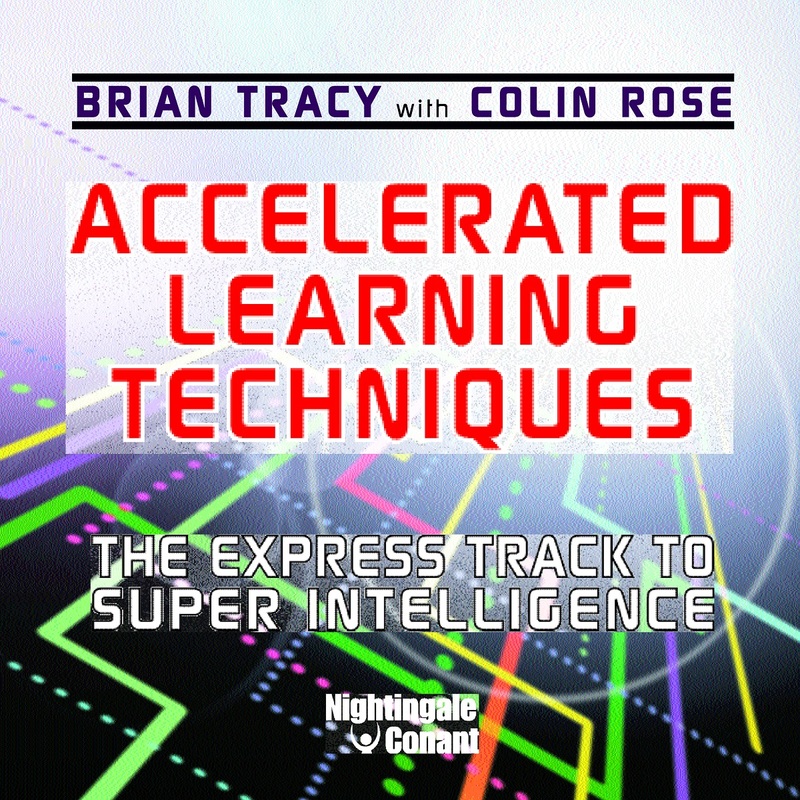 To create this program, the well-known Nightingale-Conant host and personal development expert Brian Tracy collaborated with British learning expert Colin Rose, perhaps the world’s leading “simplifier” of applied Accelerated Learning Techniques. Together, they have laid out for you – in straightforward step-by-step fashion – everything you need to know to put these miraculous brain-strengthening techniques to work in revolutionizing your life. You’ll discover the six stages of learning and what you should do at each stage. You’ll learn a simple “orientation” trick that helps you grab onto new learning material like a blur. You’ll find out how to cut a big, scary learning project down to manageable size, and give yourself super confidence in coping with it. You’ll master 10 ways to be more effective in intaking information. HOW TO WORK MEMORY MAGIC by “emotionalizing” a fact. A SIMPLE SECRET that takes five minutes to learn and can double or triple your recall. A MEMORIZING “MUST” with a big extra plus: Brian Tracy calls it the single most important quality for success in society today. POWER READING. How it resembles speed-reading. How it differs. Why the difference is critically important. HOW TO BLAST THROUGH MENTAL BLOCKS when trying to write something. A SURE-FIRE WAY TO GAIN CONTROL of any conversation. Virtually foolproof. The acid test of any learning, of course, is your ability to retain and use it. So Brian Tracy and Colin Rose reveal exactly how to give yourself this all-essential “ownership” of new knowledge. Memory mapping – flow charting – sequencing – paraphrasing – role playing – partnering – learning logging – these and other powerful techniques can help raise your brain capacity to dramatically higher levels. Just think what this greater brain capacity could mean to you. Think what it could mean to your career, for example, if you came to be seen as a “near genius” at work. If you could speed through, and really digest, the reams of reading that slow others to a crawl. If you could acquire, “in a wink,” the added skills for new opportunities. If you could write, not just with speed, but with striking power, clarity, persuasiveness. If you were always able to come up with needed facts at critical meetings and presentations. Think how much more quickly you’d be entrusted with more responsibility. How much more quickly you’d be rewarded with more money. How much more likely it would be that you’d be sought out for new challenges, both by your present employer and by outside recruiters as well! Think how you’d be able to help your children with their schoolwork. And think of the self-respect you’d feel if you were able to truly tap into your peak mental potential and become the “Renaissance person” you’ve always dreamed of being! Order today and we’ll send you the entire program. You’ll get all six CDs... an extra, seventh, CD with valuable additional help... and a workbook on CD to use in conjunction with the CDs themselves. See for yourself what Accelerated Learning Techniques can do for you. I know you will agree, as time goes by, that this is a tiny price indeed for something that can so enrich your entire life. Accelerated Learning Techniques: The Express Track to Super Intelligence, at the special price below. - I can select one of two ways of ordering.